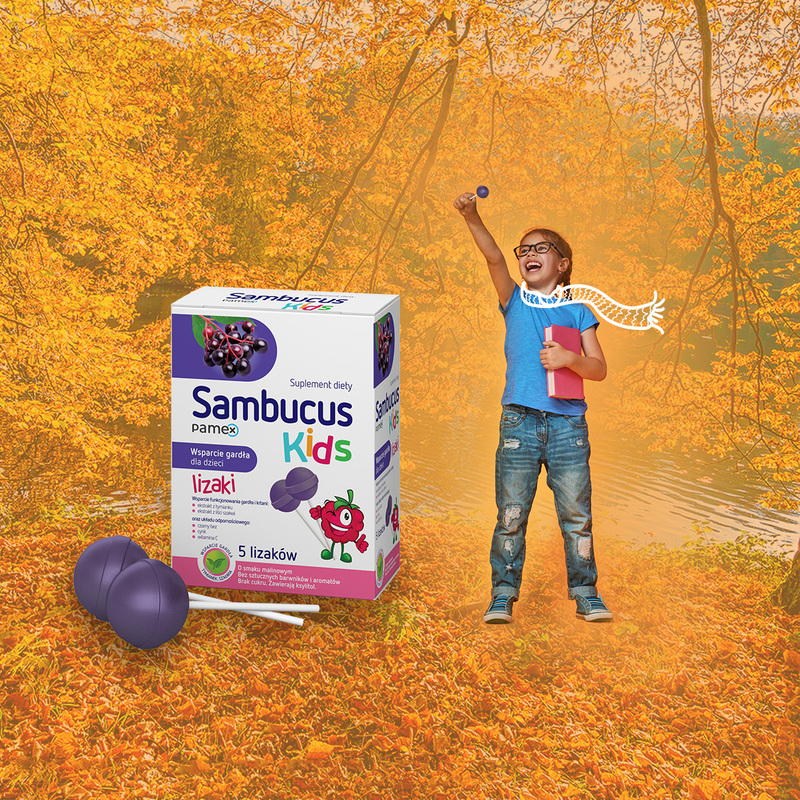 Sambucus Kids, black elderberry throat support lollipops, are made with carefully selected herbal extracts (thyme and sage extracts) that support throat and larynx and bring relief to the vocal cords. The black elderberry, Vitamin C, and Zinc support the immune system. Sambucus Kids Lollipops are a tasty alternative to throat lozenges. Children love lollipops and you are sure that you support your child’s throat properly. Thanks to the lollipop formula, the sage and thyme extracts are present in your child’s oral cavity for a long time; thus, they soothe the vocal cords. Black elderberry is a natural product traditionally used to support immunity. Vitamin C and Zinc provide support immune system.